4 partner universities and 16 associated partners. The members of the consortium, UNILIM, ASTON, UNIBS and UPV/EHU, have been working together on complementary themes in the fields of microwave electronics and photonics for several years. UTCN provides specific competencies in electro-optics of a great added value for the project. Together with the industrial partners, sucha as big groups, SMEs, associations, clusters, Universities and industries aim at building the best training offer for futur enginiers and researchers in Microwave electronics and photonics. UNILIM is a multidisciplinary centre of excellence in higher education, training and research. It counts more than 15000 students, including 2 000 foreign students, spread over 5 training and research units, 4 institutes, 3 national engineering schools. More than 700 researchers and 670 PhD students work in 4 research institutes and in 8 graduate schools on different branches of knowledge. The Faculty of Sciences and Technology provides training courses at Bachelor level (mathematics, Physics-chemistry, Engineering training in high technologies, material sciences) and at Master level (electronic optical technologies, Materials engineering). A specific ICT department has been developed since 1997 with the implementation of a Virtual Campus (http://www.campus-cvtic.unilim.fr) daily used by 850 students and 150 teachers. UNILIM created a blended learning master degree (ARTICC) specialised in the domain of telecommunication. UNILIM has coordinated until now 9 EU Training projects: 2 Tempus (MODEGOV, EOLES), 2 Erasmus+ Capacity Building (e-LIVES and Optbank), 2 Erasmus+ Strategic Partnerships (ELICIT+, EuCERMAT), and 3 Marie Slodowska Curie Actions (RISE: AMITIE, ITN-ETN: ATHOR, ITN-EJD: Polythea). UNILIM, as the coordinator of Emimeo, is in charge of the implementation of the activities, administrative and financial management and networking among the partners of EMIMEO. In this framework, UNILIM leads the Consortium Committee (CC) and the Programme Committee. The University of Brescia (UNIBS) was established in 1982. The educational structure is now composed of a total of 24 bachelor’s degrees (12 for Medicine, 8 for Engineering, 3 for Economics and 1 for Law). The training offer is completed with 15 Master’s degrees, 43 specialisation’s schools in medical and legal areas, 3 Post-Graduate Masters and 23 Ph.D. courses based at University of Brescia. Moreover, the University of Brescia offers 10 double University degrees, 3 University degrees held in English and it offered 7 international summer schools in 2013. There are 8 Departments which are involved in the research activities both on a national and international level and 36 Research Centres. The student population is currently about 15000 members, while the academic staff is made up of 564 university professors and researchers. The University of Brescia counts 250 official agreements with European and non-European Universities. UNIBS has a long experience in Erasmus Exchanges with over 150 students each year. • Academic staff members, who cooperate with their EU colleagues in seminars, lectures and project activities. AIPT at Aston University is one of the largest photonics research centres in the UK, with 90+ staff and current grant funding amounting to €20M, of which the majority comes from EU projects. AIPT’s success has built on significant achievements in high-speed optical transmission and processing, nonlinear photonics, fibre grating technology, femtosecond laser material processing techniques, nanophotonics, fibre lasers, biomedical photonics, and various fibre-optic sensing applications. AIPT has an impressive portfolio of project funding, spin-out companies, highly cited research papers and patents, all demonstrating excellence in the field. AIPT maintains active and fertile collaborations with industrial companies (ranging from large companies such as Alcatel, BT, France Telecom, BAE Systems, Airbus and Corning to a large number of SMEs) and academic institutions throughout the world. Current EU and UK funding in AIPT include: 9 FP7/H2020 MCS IIF/IEF projects; 3 RISE projects; the IAPP: GRIFFON; 2 FP7 ITN projects coordinated by AIPT: ICONE, TRIPOD; 3 FP7 ICT projects: SDM Inspace, HSPACE, INVENTION; the ERC PoP ULTRATUNE; the H2020 COFUND: MULTIPLY; the FET: MESO-BRAIN; the ERDF project, the FP7-IP: NEWLED, the FP7 project HiCore; the EM Partnership NANOPHI; an Erasmus+ Mobility project; various EPSRC grants, including: the UNLOC Programme Grant; Petabit Energy Aware Capacity Enhancement; SNAP; Ultimate Passive Optical Network; Towards Manufacturing of Massive WDM Metro. Other projects include grants/contracts from: The Royal Society, the Leverhulme Trust, US Air Force, Airbus, the Royal Academy of Engineering, TSB: Aerospace Technology Institute – Fuel & Systems Integrated Research, and others. AIPT regularly hosts visiting researchers from all over the world – >160 over the past 5 years, and is regularly granted sustainable funding for research & training. The Institute has a strong record of training post-docs and PhD students, with a 99% PhD degree award rate and >150 PhDs supplied to research centres and industry over the past 20 years. AIPT has received 30 industrially sponsored studentship awards for training PhD students with the focus on industrial impact and knowledge transfer. AIPT staff have recently participated in several EU research & training projects and in the EMJMD programme MAPNET. Along the last eighteen years, our research team has consolidated a research and technology transfer activity in an international context. We have established long run partners and we have participated in several common research projects. A relevant example of this transfer is related to our activity in stability analysis of microwave active circuits. Our group is responsible for the introduction, in 2001, of the pole-zero identification technique for stability analysis of large-signal regimes in power amplifiers. This has resulted in an international patent and a commercial software tool (STAN Tool) developed in collaboration with the French Space Agency (CNES), that is commercially distributed by AMCAD Engineering and increasingly used by the microwave industry. – IST-1-507893-NOE “Top Amplifier Research Groups in a European Team (TARGET)”. EU-FP6 programme. >30 partners. – CTP06-02 “Design of reconfigurable matching networks for power amplifiers by using MEMS”. EU funded programme. Partners: Thales-Alenia Space, Université Paul Sabatier, UPC. – Several research projects such as “Nouvelle génération de modèles comportementaux d’amplificateurs de puissance à mémoire”, “Évolution et intégration de techniques d’analyse de stabilité non linéaire pour la conception optimale d’amplificateurs de puissance” among others, funded by the French Space Agency (CNES). – “Power/Efficiency Flexibility of Spaceborne SSPA Using Doherty Scheme Associated to a Lineariser” ESA funding programme, working under Thales Alenia Space subcontracting. 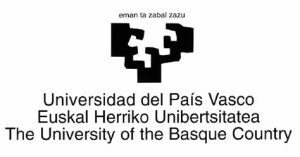 – Several research projects funded by Spanish Administration. The research activity developed in the area related to this proposal in the last years has given rise to ten Ph. D. dissertations. To our satisfaction, eight of them are currently working in the RF and Microwave field in laboratories of different companies and institutions, ESA – ESTEC, Mexican Navy research Labs, and INDRA, among others. 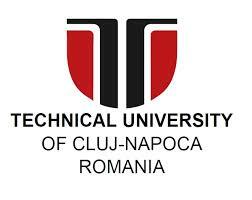 Technical University of Cluj-Napoca comprises twelve faculties divided into two universities, Cluj and Baia Mare, plus extensions in Alba Iulia, Bistrita, Satu Mare and Zalau. Offer educational system organized in Bologna include bachelor, master and doctoral studies and training programs. Research is, together with education, the main priority of the Technical University of Cluj-Napoca. In all faculties exists research structures from collective groups and laboratories to research centers and platforms. Performance rooted in socio-economic perspective, visibility and international cooperation and scientific novelty and interdisciplinarity are some of the characteristics of the environment research Technical University of Cluj-Napoca. Open research directions are focused on priorities and perspectives in the world: from information and communication technology, renewable energies and ecology; of superconductivity, spintronics and nanomaterials, the management and robotics; of the mechatronics and electrical engineering, the vehicle and the future home or urbanism and society.